Monaco marks the sixth race weekend of the 2018 Formula 1 season, and it's the sixth race weekend which hasn't been problem-free for Red Bull Racing's 20-year old prodigy Max Verstappen. In the third and final practice session for the Monaco Grand Prix, Verstappen hit the barrier entering the rapid 'La Piscine' complex, breaking his front right suspension, his uncontrollable Red Bull RB14 subsequently jumping the curb and ending up in the opposite wall. 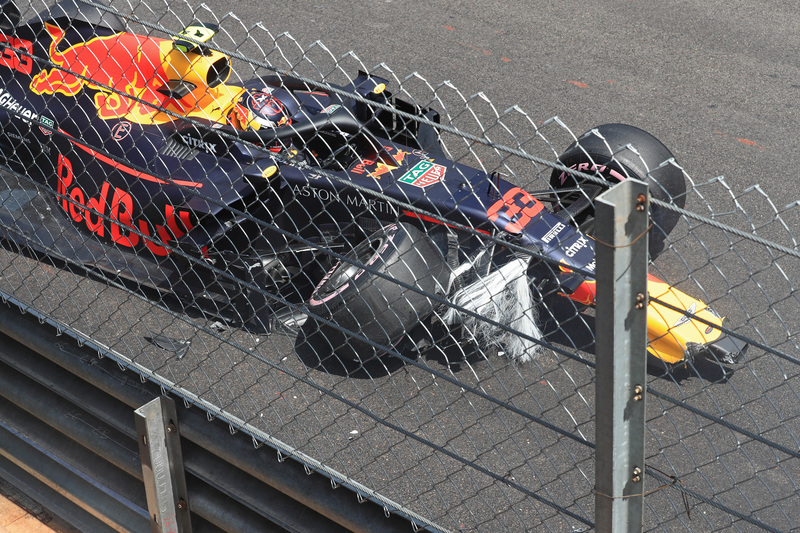 The damage to his car was so severe that Verstappen had to sit out qualifying, in which teammate Daniel Ricciardo took pole. In a way, it was 2016 all over again. While Ricciardo was celebrating his second Monaco pole, his first having come two years prior, footage of Verstappen's crash shown on the big screens played like an instant replay from two years ago when he crashed in near-identical fashion and at the exact same point. And just as in 2016, Verstappen's crash stemmed from a needless mistake when there was no real reason to push. 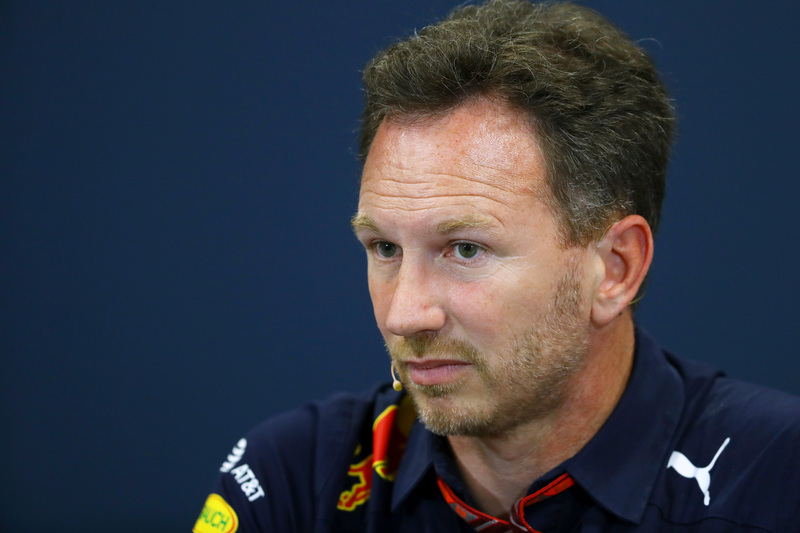 "This place bites and he got bit pretty hard in a session which doesn't really count for anything other than setting the car up", Red Bull Team Principal Christian Horner lamented when speaking to Channel 4. Horner was clear about Verstappen ruining a good opportunity, and clearly unhappy: "He needs to learn from it and stop making these errors." Verstappen's crashed Red Bull is rolled away. Verstappen's track-record in 2018 has been spotty, after all. There was a spin as a consequence of damage sustained to his car in Melbourne, an engine-related crash in qualifying in Bahrain was followed up by a collision with Lewis Hamilton in the race, and in China, Verstappen threw away the chance of victory by getting wrapped up in incidents while Ricciardo brought home the win. Ricciardo and Verstappen subsequently collided in Azerbaijan. In Spain, race number five, Verstappen tagged Lance Stroll during a virtual safety car phase and damaged his front wing, although he was still able to bring it home in third to collect his first podium finish of the year. Agree or disagree, it's tough to make the case that 2018 has been smooth sailing for the Red Bull Racing driver and Horner hopes Verstappen being moored in the pits after binning it in Monaco's harbor will help the Dutchman both see and acknowledge that. Asked by Channel 4 if this will 'drive the point home' that he needs to stop making mistakes, Horner replied: "I hope so, I don't know what else will." Red Bull Team Principal Horner.Getty Images. Verstappen making his way back to the pits.Getty Images. 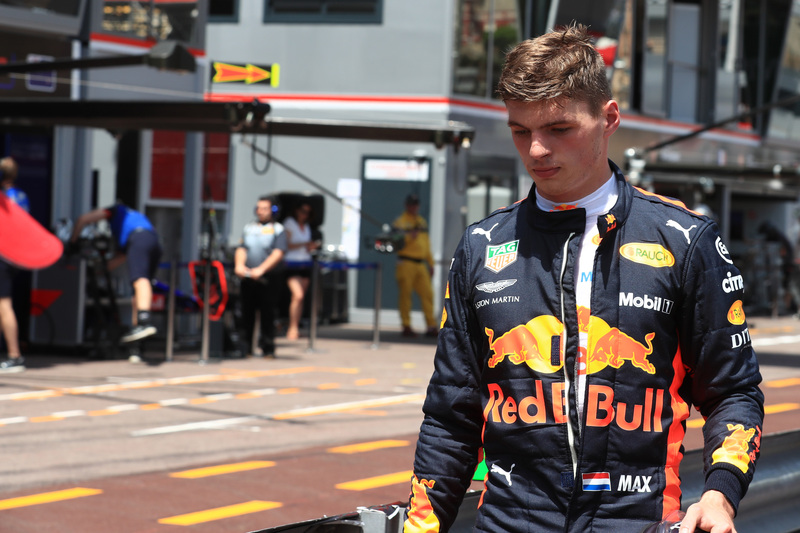 With qualifying crucial in Monaco, where it's near-impossible to overtake, and Verstappen set to start either dead last or from the pitlane, the youngster himself certainly seemed aware of the great opportunity he squandered. "Because this is always painful, knowing you could've been first or second", he's quoted by Dutch Formule 1. As for his crash, he admitted: "Ultimately, there is no excuse." What Verstappen didn't agree on, however, is his 2018 incident-tally being up to six or more already. "I wouldn't call Barcelona an incident", he said. "Nor Australia. I'd say China and Bahrain were incidents. And China and this one [Monaco] are the only ones that really upset me." No matter how you count, though, Horner did his best to drive his point home through repetition when speaking to Sky Sports F1: "There is no more brutal lesson to what he has had [here in Monaco] and hopefully he is smart enough to learn from that."